London South Bank University has been recognised as one of the best places to work in higher education for lesbian, gay and bisexual people by charity Stonewall. LSBU has moved up 64 places in Stonewall's annual Workplace Equality Index, a benchmarking exercise that ranks the best employers in Britain for lesbian, gay and bisexual (LGB) people. The index is the UK's leading tool for employers to create inclusive workplaces for LGB staff. LSBU's voluntary participation in the programme reflects its commitment to equality, diversity and inclusion in the workplace. In 2014 LSBU is ranked 23rd of 55 who took part in the higher education sector, making LSBU one of the best universities for employees who identify as LGB. For all sectors combined, LSBU is ranked 221st of 369 in the country—a 22 per cent improvement compared with 2013. "LSBU has a long history of creating opportunities for people from all different backgrounds and today it is part of our DNA," says Ian Mehrtens, LSBU chief operating officer and sponsor of the university's LGB staff network. "LSBU takes its commitment to equality, diversity and inclusion seriously at the very top level. Our campus is an incredibly diverse place to work, we have students and colleagues from 130 countries. This is a result of which we can be proud." LSBU scored full marks in seven categories of the index, including for its diversity policy, diversity team, staff network, access to equality and diversity training, and monitoring of protected characteristics. In an anonymous staff survey conducted in 2013, 91 per cent of respondents agreed that LSBU's workplace culture was inclusive of lesbian, gay and bisexual people. 91 per cent agreed that their line manager supported them as a lesbian, gay or bisexual member of staff while 95 per cent agreed that senior management were supportive of them. 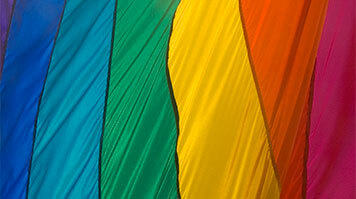 90 per cent said they would feel confident reporting any anti-gay bullying in the workplace. "This is a fantastic result that reflects the wonderful inclusive spirit of LSBU," says Dr Markos Koumaditis, chair of LSBU's LGB staff network, SONET. "There is always room to improve, of course, and next year we hope to do even better. In the meantime SONET are starting to get excited about participating in London Pride in June." LSBU celebrated LGBT History Month in February with a number of events—including a debate by a panel of academics and activists on whether 'pride' events are still relevant in today's society.